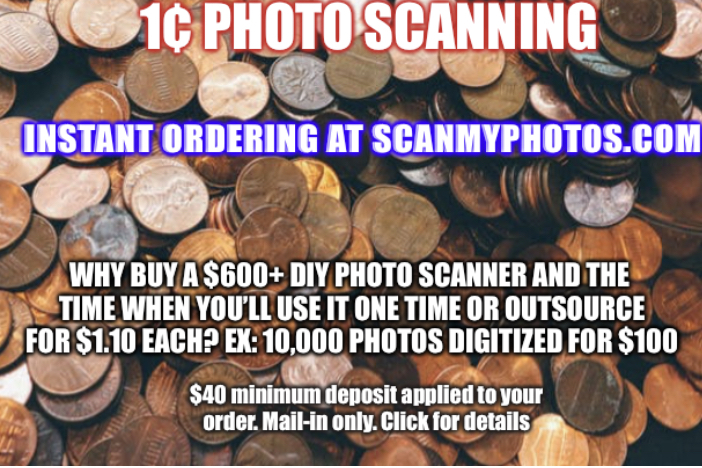 After weeks of testing and due to the feedback from nearly 3,700 people who ordered or already had ScanMyPhotos.com digitize their pictures for one cent each at 150 DPI, 8 cents at 300 DPI and 16 cents at 600 DPI. So, after all the testing, now this is a new permanent featured service. And, no promo code is needed to access and instantly order scanning for one cent each at 150 DPI resolution. This new service is now the centerpiece of our latest photo imaging innovation. And we have had many over the past 29 years. 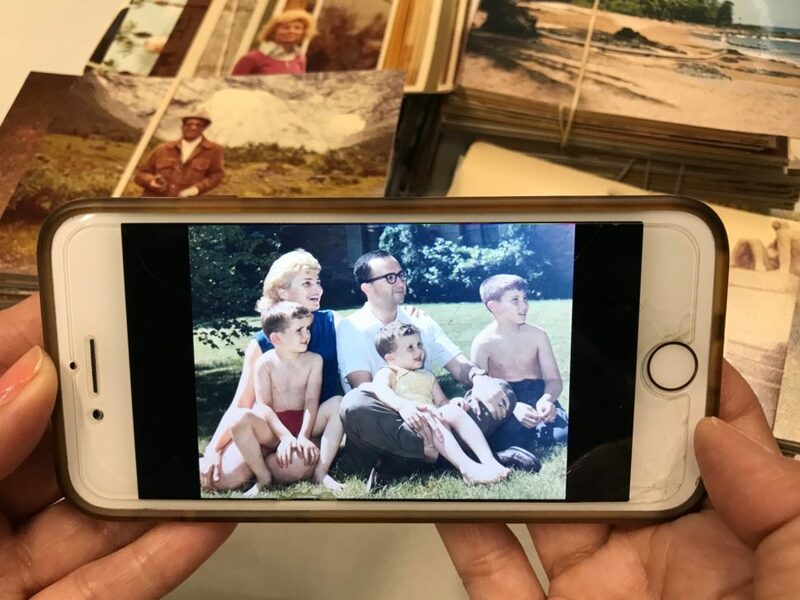 This link transports you to some of the feature news stories and reviews on how we do our magic to have digitized 600 million images. But, no order is more important than yours. From Photo District News: ScanMyPhotos has rolled now new pricing with big savings for a range of photo print scanning options. Just before you begin your journey to revisit all your precious pre-digital photos. Prior to ordering any “Pay Per Scan” order please review and follow these below terms and instructions for preparing your pictures. We have live support, Twitter private direct messaging, email and call center phone support for you. Click for contact information. $40 order minimum is charged when ordering and credited towards your order total, but not applied towards return S/H charges. Non-refundable and no refund for unused balance. Example: 1-4000 pictures scanned at 150 DPI is $40, 10,000 pictures scanned at 150 DPI will cost $100, plus any add-on services you select and return S/H. 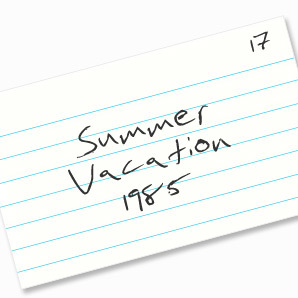 Scan In Order: If you watch this “how to prepare photos video” you see we recommend index cards to identify and separate each batch of pictures by category. This requires you to add “scan in order.” If you use ANY index cards, dividers or want pictures NOT to be randomly digitized, you must choose the “scanning in order” upgrade. Otherwise, your pictures (even if there are index cards included) are randomly scanned and not in any order. You are responsible for paying to mail the photos to us and paying for return S/H. This entry was posted in Blog and tagged how to scan pictures for one cent, photo scanning instructions, scanmyphotos order instructions, tips for scanning photos by ScanMyPhotos.com. Bookmark the permalink.